The Queen Elizabth Hall Foyer is open an hour and a half before the start of performances. Housed in the same modernist block as the Royal Festival Hall and sandwiched between it and the Hayward Gallery, the Purcell Room has a 372-seat auditorium, making it especially suitable for chamber music, mime, soloists and cabaret. 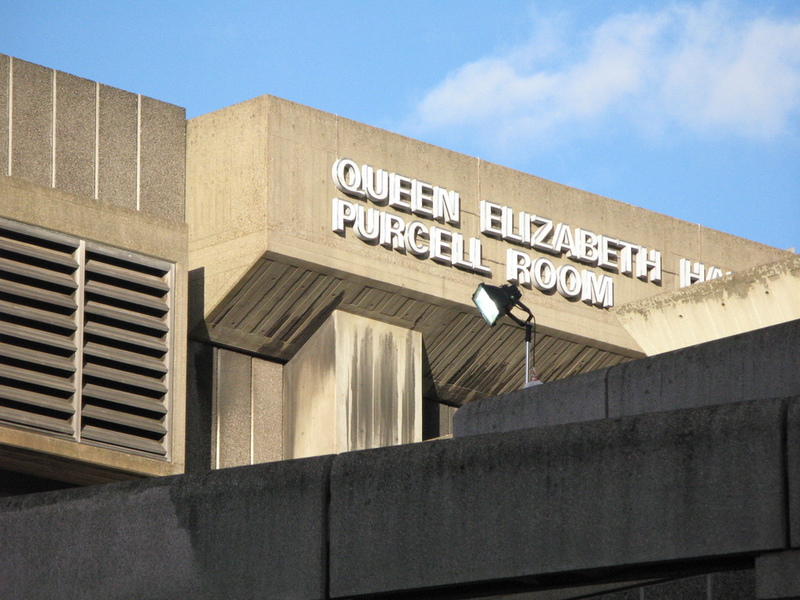 With the London Philharmonic Orchestra having its home at the Royal Festival Hall, they regularly put on concerts in the Purcell Room. This area of the South Bank is really worth a visit and the Southbank Centre always has a full and varied programme of live music, performance and visual arts. If you would like to pick up your tickets in person, the Purcell Room Box Office opens from 6pm on event evenings until 20 minutes after the performance begins. What are the best dining options near Southbank Centre: Purcell Room London? Southbank Centre: Purcell Room gyms, sporting activities, health & beauty and fitness. The best pubs near London Southbank Centre: Purcell Room. Southbank Centre: Purcell Room clubs, bars, cabaret nights, casinos and interesting nightlife. Where to have your meeting, conference, exhibition, private dining or training course near Southbank Centre: Purcell Room. From cheap budget hotels to luxury 5 star hotels see our special offers for Southbank Centre: Purcell Room hotels, including The Royal Horseguards - A Guoman Hotel from 81% off.